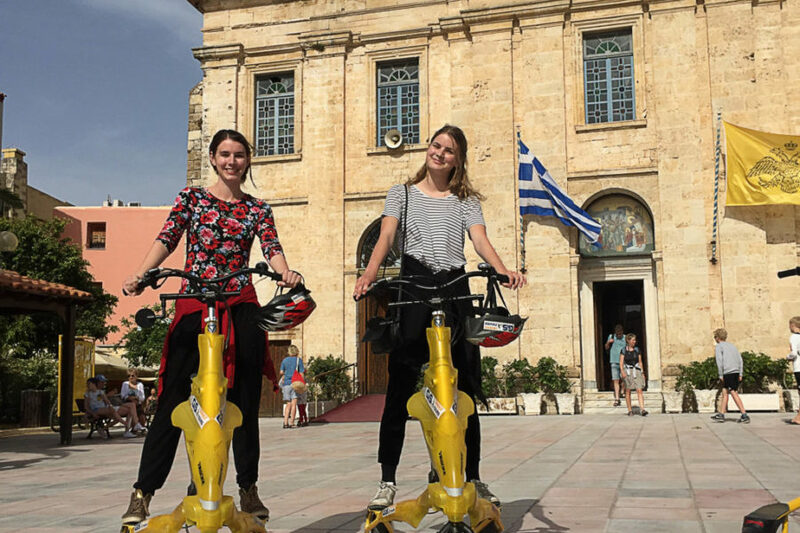 Behold the wonders of the Minoan Crete on this Trikke tour of the Chania old Town and the Venetian Harbor. With an expert local guide, start the ride and discover the most beautiful buildings and monuments. 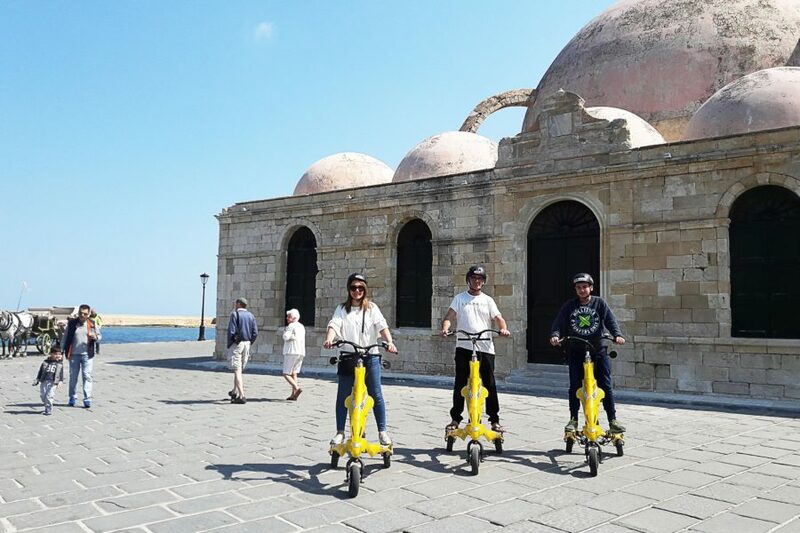 Visit each neighborhood of the old town like Topanas, Kasteli, Kolombo etc and admire unique architecture buildings like the famous lighthouse, the Yiali Mosque, the Dry Docks and the Grand Arsenal. 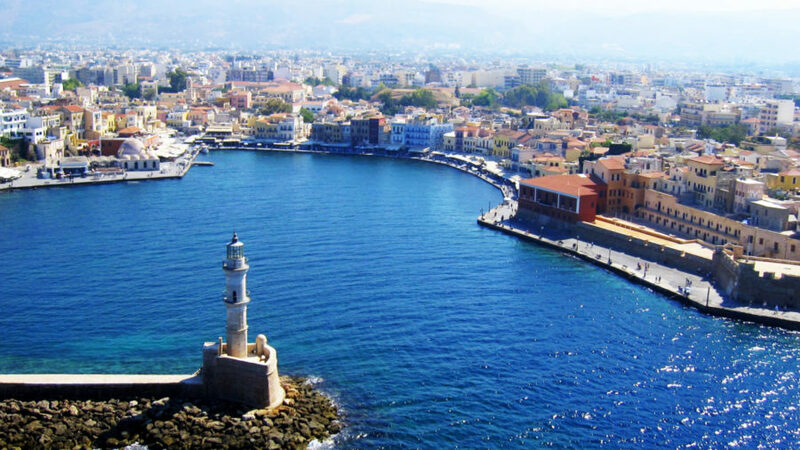 Then, stroll to Splantzia square and the biggest church in Crete, St Nicolas, stopping at religious monuments such as the Catholic Church, the Ottoman Minaret, the Jewish Synagogue and many other Venetian and Byzantine sites. Absorb sweeping panoramas of the city below and learn about the ancient Minoan city, Kydonia ruins as well as excavation efforts from your guide. 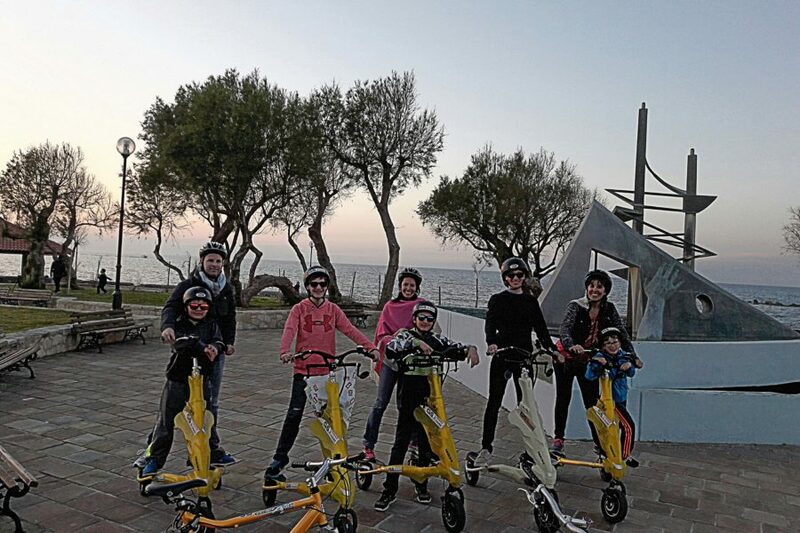 After a small break we will be starting the second part of the tour: Trikke Ride! The 3-wheeled electric Trikke can be ridden easily by anyone, including children. 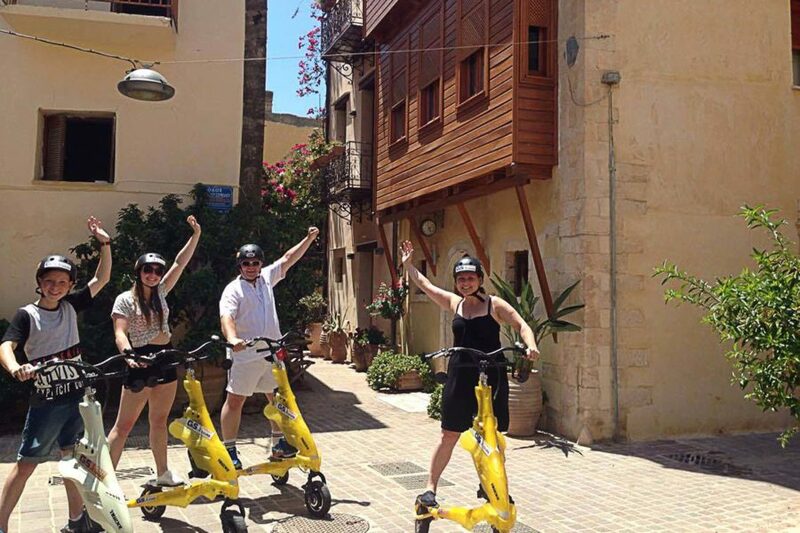 Have an exhilarating private ride and marvel at some of Chania best sights. 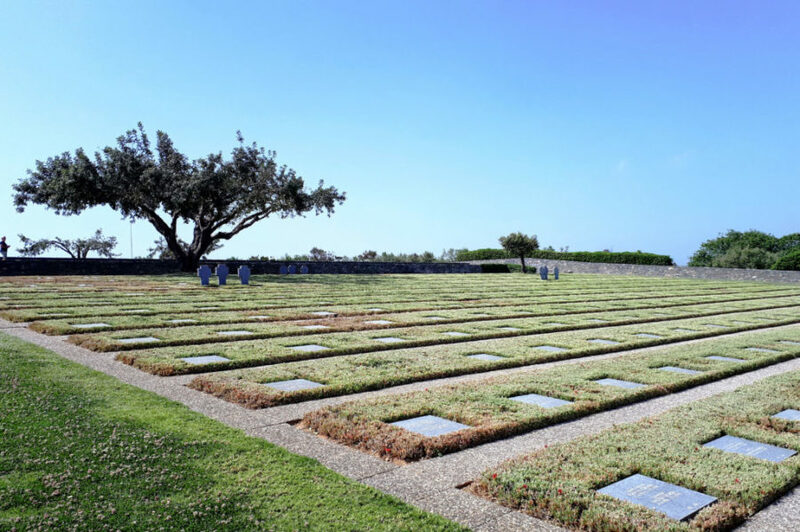 Visit the Gate of Sampionara and ride by the Koum Kapi beach. Enjoy the famous streets of the old town like Theotokopoulou str, Aggelou str and admire the imposing Cathedral of Chania in Chalidon street. And then you can complete your journey after your visit to the Cretan knife-making shops and get to feel the atmosphere in the narrow streets of the old town and the oldest neighborhood of Chania, Kasteli. 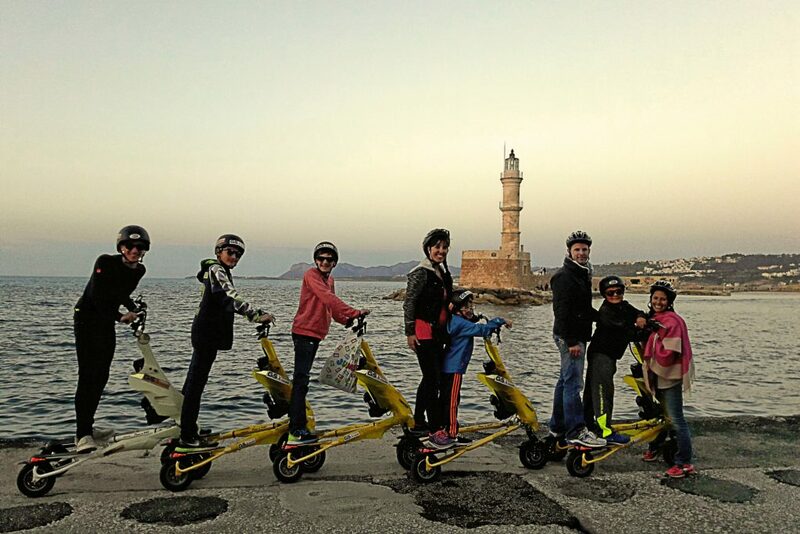 This private tour combines perfectly riding the intuitive and easy to ride Trikke as well as a walking tour of Chania.